In the presidential address there was a place for setting the tasks of the defense industry. And not at all in the section where the talk was about new weapons systems. 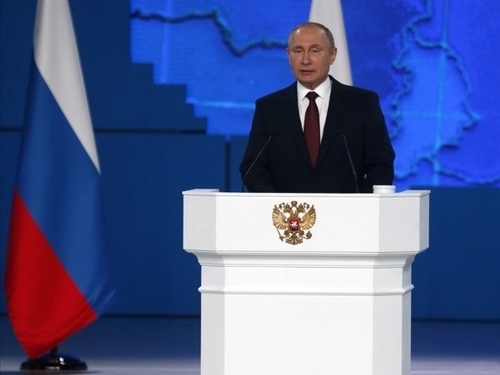 On the contrary, Putin demanded that the defense industry complex (OPK), so to speak, open a “second front” and increase the output of civilian products. “As for the military-industrial complex, we need to use today’s opportunities for diversification, to increase the output of civilian products. Colleagues know what it is about. There are certain numbers by year. We must bleed from the nose to perform these tasks, ”the president said. On the eve of the “defense industry” this task and why it became relevant before the “blood from the nose,” Russian Deputy Prime Minister Yury Borisov, who oversees the defense industry complex in the government, spoke in detail on the eve. Correspondent “MK” listened to his arguments. Speaking to the students and teachers of the Moscow Aviation Institute (MAI), Borisov noted that the course towards diversification is serious and for a long time. And explained why. “This is not a campaign. This is a requirement of the current situation. Because the army is in order. I believe that at the turn of 2022-2023 the level of modern and promising designs will reach the cherished number – 70%, ”said Yuri Borisov, who until recently was deputy defense minister for armaments. Why did the rate of 70% of modern weapons become a guide? It turns out that it is taken from world practice and is the average determinant of the level of combat effectiveness of any army. In such a state of armament, the army is considered combatable and is capable of performing all the tasks assigned with great chances of success. Today, the share of modern weapons in the Russian army is 61.5%. And another 10-15 years ago, this figure did not reach 20%. Thanks to huge investments, the army has changed dramatically. But after the goal of 70% is achieved, there will be no need to spend huge money on the purchase of modern weapons. It will be necessary to simply maintain the achieved level due to small deliveries of new samples, repairs and modernization. That is, objectively, the volume of orders will fall, the deputy prime minister is convinced. The “tearing in” is necessary to replace something, otherwise 2 million workers of defense enterprises will be left without work. According to him, it is possible to replace a decreasing defense order only in two market segments: either by increasing exports, or by exploring the civilian market. The second direction is more realistic, since competition on the foreign market is tough. According to the results of the work of the defense industry in 2018, the share of civilian products in the total volume was 20.7%. Further indicators of increasing output of civilian products were determined by the president. In 2025, the share of “citizen” in defense companies should be 30%, and by 2030 – already 50%. It was about them that the president recalled the message. Now the question is, how much “nosebleed” will it take industry to reach the landmarks designated by the president. you have a great weblog here! would you prefer to make some invite posts on my weblog?